If you paint a zone or pencil line with a gradient or texture you can use the Edit Gradient/Texture tool to modify its position in the zone. You can move, scale, rotate and skew. 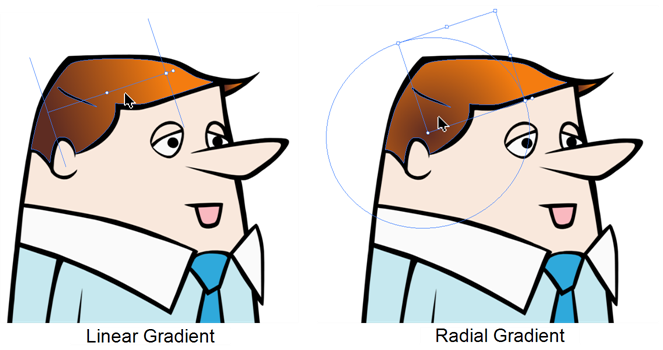 If you have to match the transformations performed on a gradient or texture from one zone or pencil line to many others, you can copy and paste the Edit Gradient/Texture position. When moving to the next drawing, you can select the next texture and paste the previous position to continue the modifications. 1. In the Tools toolbar, select the Edit Gradient/Texture tool. You can also select this tool from the top menu under Drawing> Tools > Edit Gradient/Texture or press [Shift] + [F3]. 2. Click on the Gradient or Texture zone to be modified. ‣ If you want to modify several areas at once, hold down the [Shift] key and click on the zones to be modified. 3. Move the edit texture’s anchor points to the desired result. 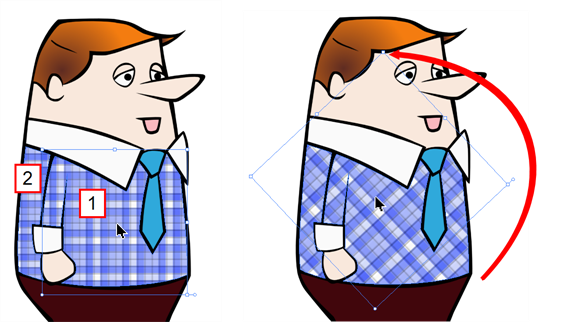 A pencil line can have its gradient, texture or texture’s gradient edited in two different ways, either with the Pencil Editor or with the Edit Gradient/Texture tool. 1. In the Tools toolbar, select the Pencil Editor tool. You can also select this tool from the top menu under Drawing > Tools > Pencil Editor or press [Alt] + [W]. 2. 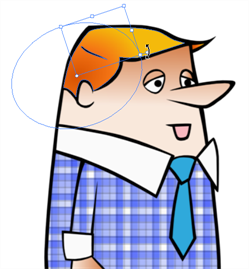 Click on the pencil line to be modified to bring up its contour envelope. 3. Select one of the contour points around the envelope and move its position to change the size of the tiled texture or gradient. 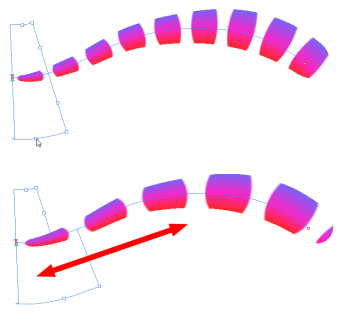 You can also pull directly on the lines of the contour envelope or play with the bezier handles of any given point in order to continue to modify the envelope form. 1. In the Tools toolbar, select the Edit Gradient/Texture tool. You can also select this tool from the top menu under Drawing > Tools > Edit Gradient/Texture or press [Shift] + [F3]. 2. 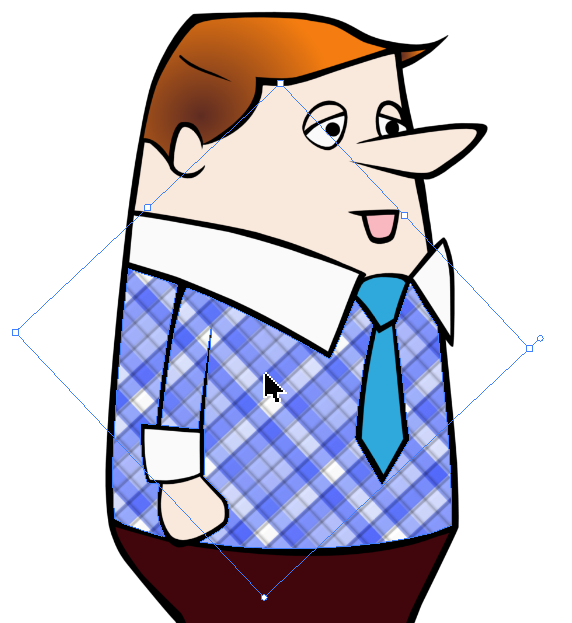 Click on the pencil line to be modified to bring up the editor controls. 3. The editor controls delineate a single tile in the texture. For gradients, this is less applicable. Pull on the top of the editor controls to stretch the tiled texture throughout the length of the stroke. 4. Drag the editor control perpendicular to the stroke. You will feel it glide along the strokes central vector line. This is another way to resize the texture tile. Instead of stretching or shrinking it vertically, this motion stretches or shrinks it vertically. As gradients are parallel to the pencil line’s central vector, stretching them vertically gives no visual result. 3. Use the top editor controls edit the gradient. 4. Use the bottom controls edit the “brush” texture.